Phoenix Metal Products, Inc. manufactures quality lavatory service carts and trucks. We have the size to fit your needs, from our small 50 gallon low profile carts to a 250/150 large capacity unit. 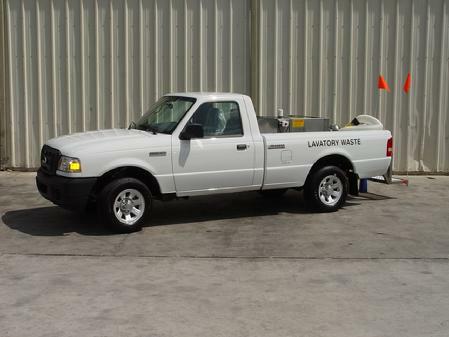 Our trucks range from a small S-10 model for commuter aircraft to our 1000 gallon wide body service units. All Phoenix lavatory service carts and trucks are manufactured with all stainless steel tanks and are fully baffled. Our carts use a Honda 4HP engine with low oil shutdown and also incorporate removable spindles with external grease fittings. Phoenix trucks can be fully insulated for winter use and a wide body service lift can be provided. Electric Isuzu chassis also available. is the ideal cart for commuter type aircraft.